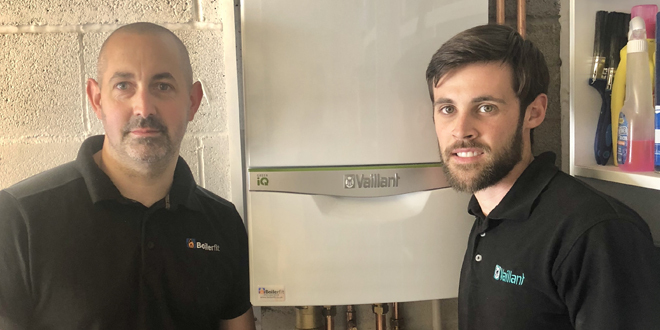 Following the success of its recent TV advertising campaign, Vaillant spoke to a group of installers about how this kind of manufacturer promotion helps their businesses. Here, Alice Woolley, Director of Marketing speaks to Steve Challinor of Boilerfit Limited, which operates in the North West of England. Alice: Hi Steve, tell us about yourself and your business. 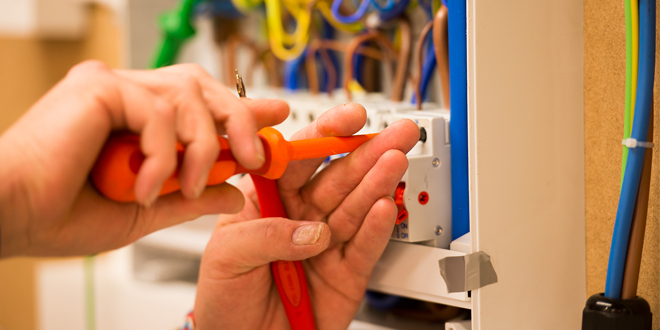 Steve: I’ve been doing all types of plumbing work – boilers, cylinders, underfloor heating – for the past 15 years. A couple of years ago I started to get more and more jobs to the point where I couldn’t cope on my own, so I decided to incorporate my business and take on a partner to move the business forward. Around the same time, I decided to switch the boilers we install to Vaillant. The brand initially caught my eye when I encountered the VRC700 control on a job and was really impressed with everything it could do. They’re also strong on social media – we noticed purely through activity on Twitter that everyone are big supporters of the brand. Plus, the loyalty rewards are very good. It’s always nice to get a little bit back each time you fit a boiler. Alice: Becoming incorporated is a big business move. How did you find the process? Steve: I found it quite straightforward – just a simple appointment – but that could be because I’ve been in business for a while. It could be daunting for someone who’s just starting out, but for us it was a natural step. What made all the difference is the fact that I’ve got a good accountant who did everything for me, so I’d recommend hiring someone if you can afford it to take the stress out of that side of things. Alice: Do you think the TV advertising campaign has helped you to grow? Steve: It’s definitely been helpful. I’ve had a few leads through the Vaillant Advance app that have turned into jobs and another customer who contacted us directly because she saw the advert on TV. She had a competitor’s boiler and was just going to replace it with a newer model, until she saw the TV campaign. Also, I do notice that people are more familiar with the brand these days. Ten years ago, I had to work hard to convince customers to go for what I deemed to be the best boiler, but these days they already have Vaillant on their mind before I even walk through the front door. That must be down to good advertising. Alice: We’re really pleased that the campaign has been a success. What about your own personal successes – is there something you’re proud of? Steve: Yes, the fact that we’ve been able to tackle bigger jobs with confidence, simply because we have the tools to do it! The fact that you can easily set up multiple zones with the Vaillant VRC700 control, and we know it’s a reliable and good quality product, which means we can expand our portfolio to include much more complex jobs. We also love sharing our best work on social media which helps us to learn new things and can even lead to more opportunities. Alice: Would you say there’s a supportive installer Twitter community then? Steve: Yes, there definitely is amongst Vaillant installers. We network with people online and go and help them out or invite them to come and work on a project with us. I even went for a meal the other week with a couple of our online contacts that I’d never even met before! Alice: What one piece of advice would you give your son/daughter if they wanted to follow in your footsteps? Steve: Protect yourself using PPE and stay off your knees for as long as possible – you don’t realise how much you need them when you get older! But most importantly, you should do something you enjoy; if you don’t like what you do, you won’t be motivated to put the effort in. Whatever career you chose, just aim to be the best at it as you possibly can.